The Chicago Tribune has reported that a member of the maintenance staff at the Willowbrook-based Chateau Village Nursing and Rehabilitation Center has plead guilty to sexually assaulting a fellow member of the staff. Marco Campos took advantage of a female worker when he pulled her into a closet, ripped her clothes off, and sexually assaulted her. Campos was originally alleged to have sexually violated several female staff members at the facility. Campos reportedly used his senior position to threaten the women into silence over fear of losing their jobs. While the victim of this incident was not a resident, this is another unfortunate example of how sexual predators are drawn to those that are most vulnerable. In many instances this means the predators seek out nursing homes for places of employment. This is why the new state law dealing with nursing homes require additional steps to be taken to check the background of all employees. However, many nursing homes do not follow the rules and check the background of their employees, allowing these predators access to the residents in their facilities. 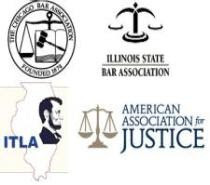 If you have any questions regarding any of the legal issues discussed in this post, please contact Attorney Mike Keating at 312-208-7702 or MKeating@KeatingLegal.com.